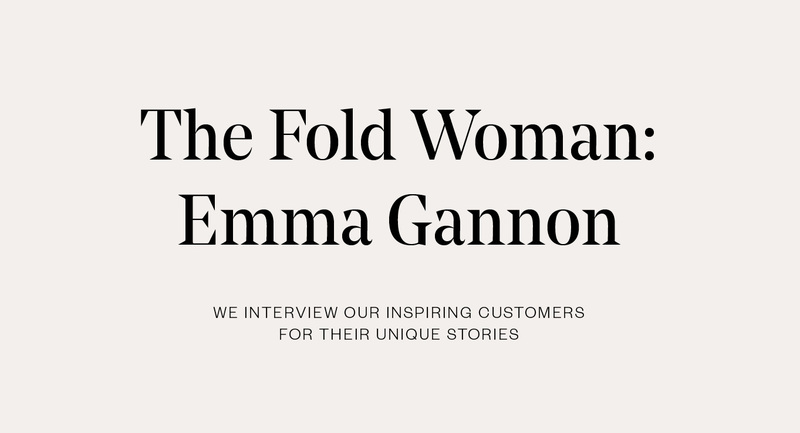 Emma Gannon left her job as the social media editor of British Glamour to rewrite the rules of work, take power back into her own hands and forge a “multi-hyphenate” career. As her second book hits the shelves, the 29 year old award-winning blogger-broadcaster-author tells us about side-hustles, sleep stigmas and starting small. 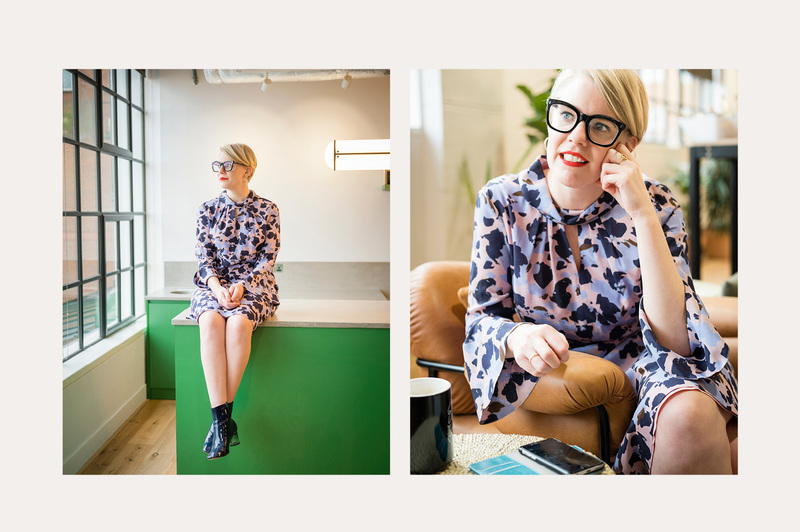 Emma Gannon left her job as the social media editor of British Glamour to rewrite the rules of work, take power back into her own hands and forge a “multi-hyphenate” career. As her second book hits the shelves, the 29-year-old award-winning blogger-broadcaster-author tells us about side-hustles, sleep stigmas and starting small. On growing up: I grew up in Devon, with fresh air, big open spaces and the beach down the road. But I didn’t appreciate any of it. I was a bright lights, big city girl and couldn’t wait to escape. As a teenager, I’d sit in my room and Google “Soho”. That’s where I saw my future. I was good at tennis and squash but I struggled at school; I was more interested in being popular than getting good grades. At the age of 13, my parents sent me to The Maynard School, one of the top independent girls’ schools in the country, and that filled me with confidence. The teachers made me feel like I could conquer the world. From there, I went to Southampton University to study English literature and film, then I got an internship with PR agency Hill+Knowlton. At last I could roll up my sleeves, get stuck in – and move to London. 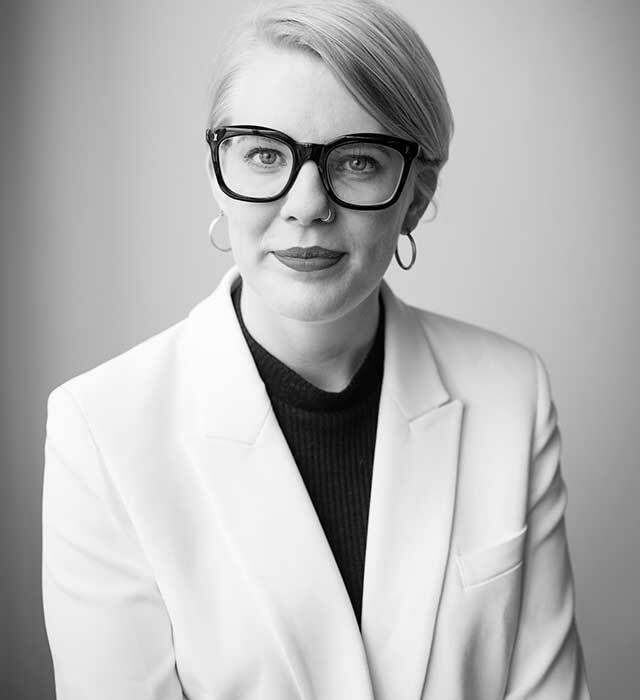 On her early career: After a year with Hill+Knowlton, I moved to Edelman and was promoted to senior digital executive, working with clients such as Dove and Toni & Guy. That stint in PR taught me about the power of connections, how to come up with clever, innovative ideas, and how to survive in this crazy, noisy, internet-obsessed world. Next, I moved to the world of publishing and started writing for The Debrief. Then, out of the blue, I received a LinkedIn message from the online editor of Glamour; she’d seen my work and wanted me to come in for an interview. Obviously I assumed it was spam. It was genuine. In 2015, I became Glamour’s social media editor. As a side-hustle, I’d been writing a lifestyle blog for young women – a mix of opinion pieces, career articles and podcasts. I happened to tweet that I wanted to turn it into a book, a kind of millennial memoir. A literary agent spotted the tweet, worked with me on a proposal and helped to me clinch a book deal with Penguin Random House. I published my first book, Ctrl Alt Delete, in 2016 at the age of 26. Honestly, I thought nothing could get better from there. I was wrong: I’ve just released my second book, The Multi-Hyphen Method, starred in a national advertising campaign for Microsoft, and been named a Forbes ‘30 Under 30’ in media and marketing. On her working day: I don’t buy into the ‘get up at 5am and do yoga’ morning routine. I’m a late riser and I’m a fan of naps. Sometimes, when I admit this, I feel like I might be judged for it because we appear culturally allergic to sleeping. As I’m juggling lots of different jobs, I try and put ring fences around each project and work in 90-minute spurts with mini breaks in between. I’m pretty strict about it and use a kitchen timer. I’m out and about a lot too, interviewing for my podcast, taking part in panel sessions, or guest lecturing at The Condé Nast College of Fashion & Design. 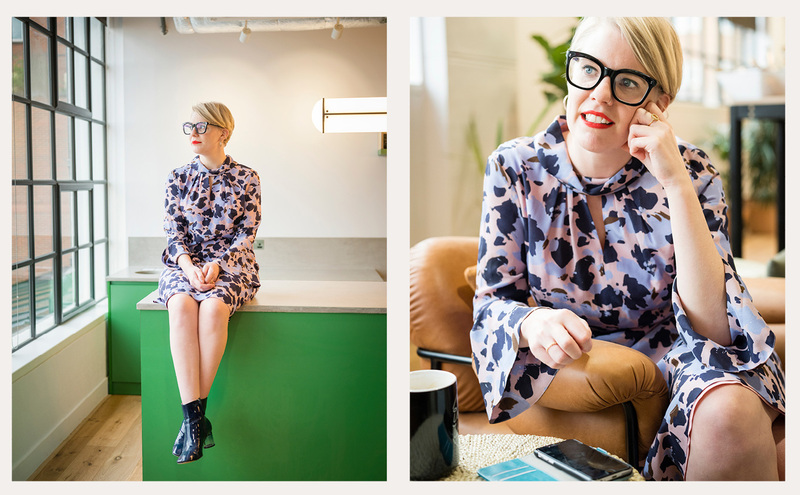 On her go-to style: The minute I put my glasses on, I’m in work mode. For me, that’s part of armouring up. My every day style is a polo neck, blazer, casual trousers and bright red or silver statement boots, accessorised with gold hoop earrings and a necklace. You’ll never see me without red lippie on. On her power suit: I love a leather jacket. It smartens up an outfit and makes you look instantly cool. I tend to change my style depending on who I’m seeing that day. 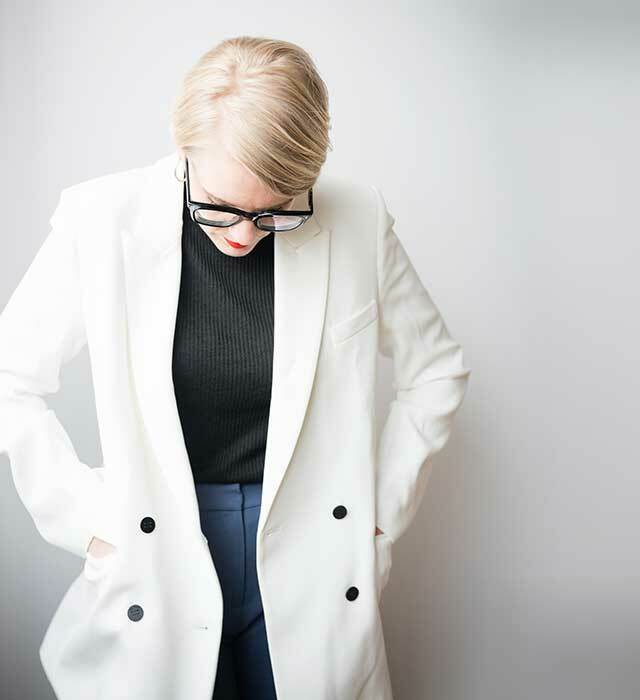 When I interviewed Jen Sincero, I wore a tailored suit. She wrote the New York Times best-seller You Are a Badass, so obviously I had to look badass when I met her. When I interviewed Clover Stroud, author of the beautiful memoir The Wild Other, I wore dungarees. On her style icon: It’s hard to pick just one. 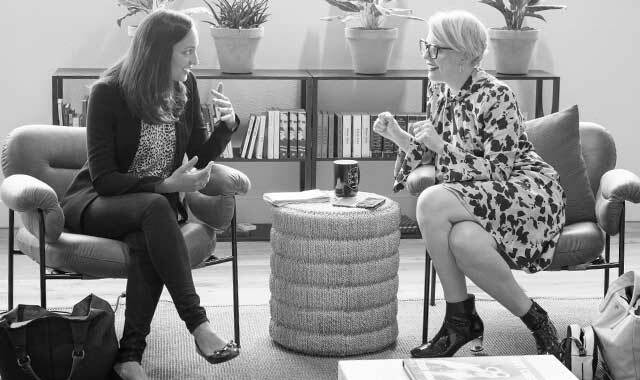 Christene Barberich, co-founder of Refinery29, for her bold colours; Alexa Chung for nailing her own look and knowing what works for her; and fashion icon Iris Apfel for her clashing patterns and rocking it at 96. On her passion: I’m obsessed with films. I’m a member of Hackney Picture House and go to the cinema twice a week. Sometimes I’ll take my laptop to the lobby and work from there just to soak up the atmosphere. The best film I’ve seen this year is Three Billboards Outside Ebbing, Missouri. I was blown away by Frances McDormand’s performance. On her toughest moments: Before my first book deal allowed me to become a multi-hyphenate and set my own rules, I worked long hours and had relentlessly demanding bosses. I was so stressed that I started getting nocturnal anxiety (when you go to the toilet about 18 times a night – not normal for someone my age!). I worked in rigid, non-flexible structures that glorified “busy”. It took me a while to figure out what balance is. On her ambition: I’d love to do more big-scale charity work. I’m currently working with the Media Trust, Women for Women International and the Princes Trust, most recently on the Get Hired initiative. But I’m itching to set something up myself. So many young people are held back by the fear of failure, the imposter syndrome and self doubt. I’d like to help them tackle that confidence crisis. 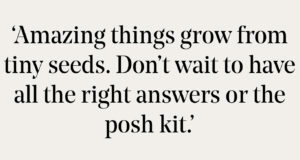 On her advice to other women: Remember: amazing things grow from tiny seeds. The first variation of my website was terrible. My first podcast was a simple Skype interview. It was all very DIY. 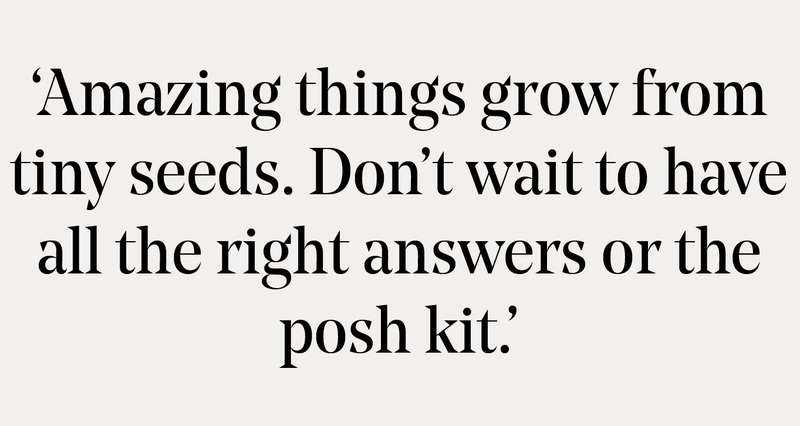 Don’t wait to have all the right answers or the posh kit. Go on, just have a go! Emma’s new book, The Multi-Hyphen Method: Work less, create more and design a career that works for you, is published by Hodder & Stoughton.